Few people know that it’s possible for a private person like you and I to have a document inscribed on UNESCO’s Documentary Heritage List (see this link). You only need two things for this: a document that is “unique, irreplaceable and of world significance”, and secondly the luck that a small number of UNESCO experts (20 in total) agree with you that the document is indeed that important. That’s all. This would not be possible at all for UNESCO’s other heritage list: the World Heritage List. Because only governments can propose items for the list, not private persons like you and I. For example only the Egyptian government was allowed to nominate the pyramids for World Heritage Status. But for UNESCO’s Documentary Heritage List on the other hand – officially called the “Memory of the World Register” – the nominating party can be you or me, or the library and the university of your town. Anybody, as long as they have a very, very significant document. Why is it that so few people know this “little sister” of UNESCO’s World Heritage List? Some say it’s because the items on the documentary list are less interesting. But I doubt that. Do you really think that Anne Frank’s diaries are “not that interesting”? And do you really consider the first films ever shown – made by the French Lumière brothers – not to be important enough to keep them as a family treasure that we, humanity, own together? I’m pretty sure you do. You get goosebumps when you read or watch them. I did. 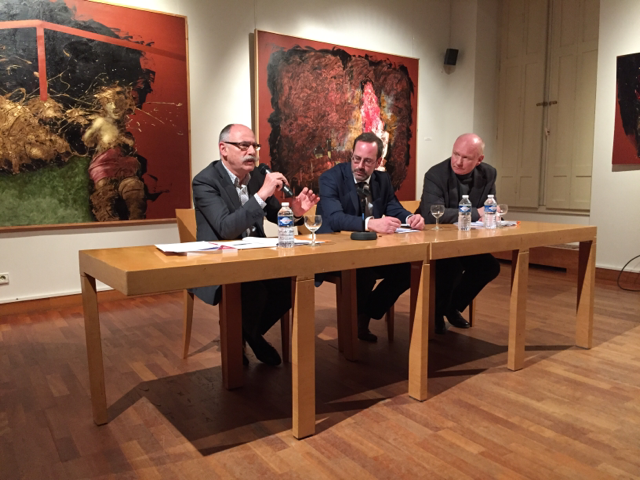 Last week I attended an interesting debate on UNESCO’s Memory of the World Programme with two experts: Gérald Grunberg (Chair of the French Memory of the World Committee) and Adolf Knoll (Czech National Library and UNESCO expert). The objective of this debate was to raise awareness about UNESCO’s surprisingly unknown Documentary Heritage List. I would like to try to raise that awareness a little further through you, dear reader. The first thing that struck me is how difficult it is for experts to agree on which documents to inscribe and which not. Knoll told us about a heated discussion about the nomination of Copernicus’ world famous book On the Revolutions of the Celestial Spheres. This landmark book was fiercely criticized in the 16th century for placing the Sun rather than the Earth in the center of the Universe. Many UNESCO experts considered this document to be of absolute world significance as it fundamentally changed the way we understand our position in the universe. But an Arab expert argued that Arab scholars had written this before. The book was finally inscribed on the list, but it took time for experts to agree. Even when experts agree to inscribe a document, Knoll continued, “there’s still a space between the ‘yes’ and the ‘no’; a space that depends on the knowledge that experts happen to have of the topics involved”. That is why UNESCO’s work fascinates me: it is about the choices we have to make about important things for humanity despite the limits of our knowledge. It is about the impossibility to be absolutely right because we are ‘hindered’ by the fact that we have a certain background, a certain knowledge and a certain perspective on the world. UNESCO’s Documentary Heritage List is about us, the sum of all imperfect and biased human beings on the planet trying to build and protect their collective memory together. The second thing that struck me is that France, a big “UNESCO Founding Father” country, has about the same number of inscriptions on the Documentary Heritage List as my little country the Netherlands! On the World Heritage List the situation is very different: France has four times as many world heritage sites as the Netherlands. This difference is due to the fact that the World Heritage List has more prestige than the much less known Documentary Heritage List. This probably also explains why for the moment even you and I can still nominate documents: the Documentary Heritage List is not yet “hot” enough to make governments want to interfere. It’s still unknown territory, believe it or not. For how long will the world’s Memory of the World remain unknown territory? In other words: when will UNESCO’s Documentary Heritage List become so popular before countries almost start fighting for their heritage to be inscribed on it? If this happens, Memory of the World could become a list like UNESCO’s prestigious World Heritage List where not experts but governments make the final decision to inscribe or not (with experts only advising). It would be managed on the basis of a Convention between governments as decision-makers rather than by a committee of experts. Is this a desirable future for the world’s documentary memory? Views on this are quite diverging. Knoll feared the governments’ involvement as it would focus the attention on bureaucracy rather than on the programme’s job: improve the preservation of documentary heritage. Grunberg argued on the contrary that a heritage list owned – and cherished – by governments would have much more outreach and a much stronger influence on documentary heritage preservation in countries than a relatively unknown documentary heritage list. UNESCO itself, I mean the Secretariat that represents UNESCO Member States, agrees with Grunberg. On its website it even mentions its “intent of creating a sound framework for the future maturing of Memory of the World into the status of a UNESCO Recommendation and ultimately a UNESCO Convention”. And time goes faster than UNESCO’s website: the Recommendation for documentary heritage already exists! Whatever the future of our Documentary Heritage List may be, I think it is urgent that governments and citizens get to know it. It’s our best chance to create a global effort to save the great achievements of our ancestors which are being eaten up in poorly preserved humid places all over the world. The sound of slowly decaying archives might not be as spectacular and horrifying as the explosion of Palmyra and the Bamiyan Buddhas (see link), but the resulting loss for our civilization will be no less devastating and painful. My personal thoughts and observations from "behind the scene" about the way UNESCO can or should unlock the potential of the human mind for a better life. I write in English, French and Dutch. Sometimes there's poetry too.